DETROIT, Mich. – December 5, 2014 – Detroit Diesel Corporation (Detroit) today announced that the Intelligent Powertrain Management (IPM) system will be standard on all Detroit™ DT12™ automated manual transmissions paired with any heavy-duty Detroit™ engine, beginning in March 2015. 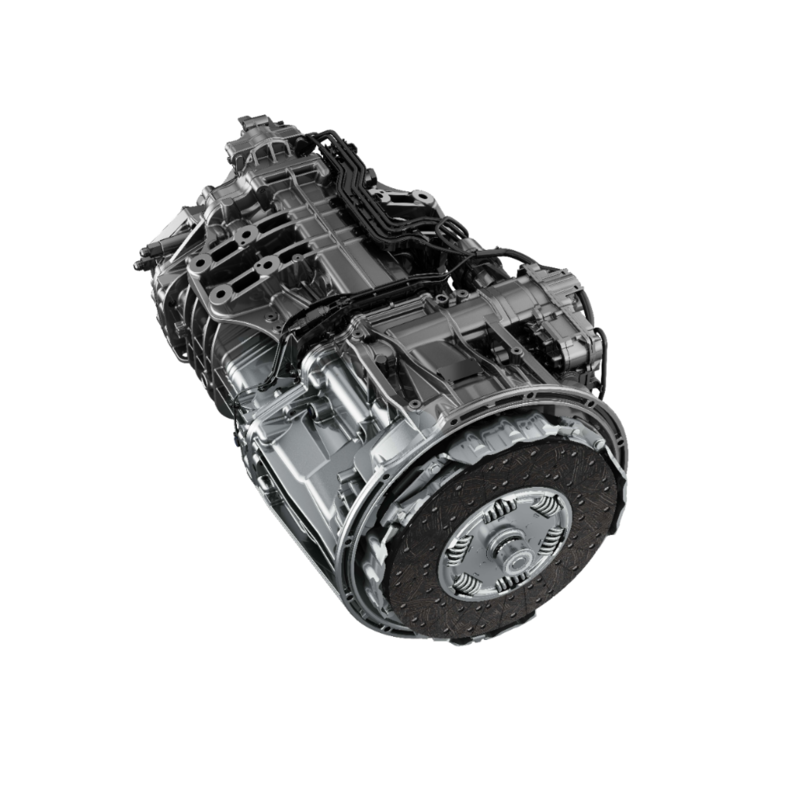 IPM helps the powertrain operate as efficiently as possible, based on the truck’s momentum generated by the terrain. The new Intelligent Powertrain Management integrates pre-loaded terrain maps and GPS into engine and transmission functions to know the route ahead, up to one mile. The main goal of IPM is to use the momentum of the truck most efficiently to reduce fuel consumption. It achieves this by preventing unnecessary shifts, predictively engine braking and fueling, shifting optimally, and precisely controlling eCoast events. IPM is automatically ‘on’ once the driver engages cruise control, so benefits of IPM are variable based on the percent of time the driver operates in cruise control, and the variably of the route traveled. Since Intelligent Powertrain Management uses the momentum of the truck to most efficiently move down the road, a route with varied topography (but no extreme change in elevations) provides the optimal opportunity for IPM to improve fuel economy. IPM also integrates seamlessly with the new Detroit Assurance™ suite of safety systems to provide virtually effort free driving when cruise control is engaged. Safety is always the first priority, so while Assurance operates in tandem with IPM, safety actions always take priority over fuel economy. With these two systems integrated together, the IPM, Active Brake Assist, and Adaptive Cruise Control work to not only ensure the drivers safety but also to provide smoothest and most fuel efficient driving available today. For example, when approaching a grade, IPM will increase road speed to allow the vehicle to climb the hill with the fewest downshifts possible. IPM will also engage eCoast or stop fueling the engine before cresting a hill, using the truck’s momentum instead. When heading down a hill, IPM plans for this by automatically accelerating to increase the truck’s momentum, based on the approaching terrain. IPM will also keep eCoast engaged for longer periods of time with fewer interruptions, further benefiting fuel economy. For more information visit www.DemandDetroit.com.